Posted on 4th December 2018 at 10:06 am. Welcome to our final garden maintenance guide of the year, now that we have entered the month of December. With winter now officially upon us, our gardens will have naturally prepared themselves for the cold months ahead and will be lying dormant. Finding time to get out in the garden can often be difficult at this time of year, what with busy schedules and short days. December is one of the darkest months of the year, with the shortest day – the winter solstice – usually falling on the 21st December. Whilst Christmas seems to consume the majority of the month, there are, as always, still certain jobs that need doing within our gardens. December is a good month to prepare your garden ready for the approaching new year, when spring will be just around the corner. And, when growth does begin again, you’ll certainly be rewarded for the hard work you put in during this month and into the start of next year. Here’s our list of 7 garden maintenance tasks to be carried out this month. 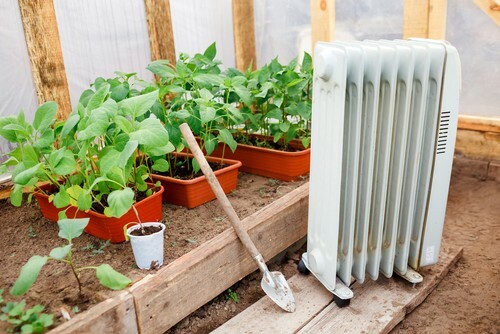 With the coldest months of the winter still to come, December is a good time to set up a heater in your greenhouse, if you don’t already have one. When it comes to choosing a heater, we’d highly recommend you opt for an electric powered one, rather than gas or paraffin. That’s because gas and paraffin heaters can emit pollutants associated with combustion, such as ethylene and carbon monoxide, and these could cause harm to your plants. Another strong recommendation is that, before firing up your heater, you ensure that your greenhouse is insulated as much as possible. That will minimise energy consumption and make sure you avoid losing any heat unnecessarily. This is done by ensuring that all broken panes of glass have been replaced or repaired, and seals on door and ventilators have been checked and replaced, where necessary, to keep the heat in. To ensure your heater is working correctly, it’s a good idea to put a thermometer inside your greenhouse and make sure that you regularly check the temperature reading. To create a safe environment for your plants over the winter months, we’d recommend maintaining a temperature of between 8°C and 10°C. Trees and shrubs are great for giving your garden an extra dimension, by providing some height. When choosing trees and shrubs for your garden it’s a good idea to choose different varieties, to ensure you gets lots of colour at different times of the year. You should also select ones that will fit the size of your garden. Always check the height and spread before planting, to avoid dwarfing the rest of your plants. As long as the ground is not waterlogged, December is a good time of the year to plant deciduous trees and shrubs in your garden. Once planted, you should ensure that young trees are secured to stakes to prevent wind damage. With Christmas just around the corner, we couldn’t write our December garden maintenance article without including a Christmas-themed task. 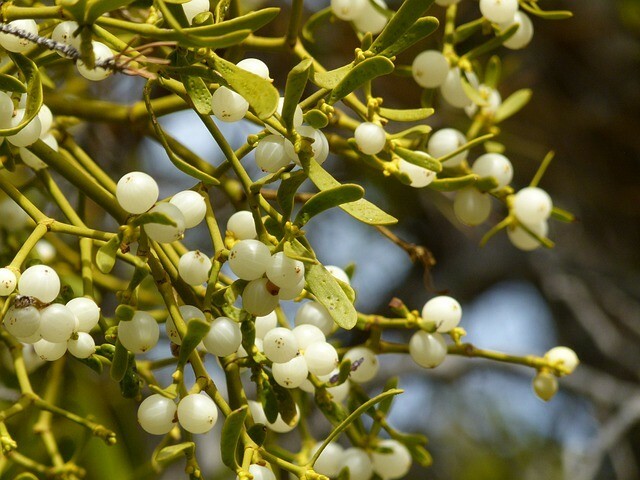 And what could signify Christmas better in your garden than growing your own mistletoe? Growing your own mistletoe is actually far easier than you may think – as long as you have the correct type of tree in your garden. You’ll need what is called a ‘host tree’ to grow mistletoe. 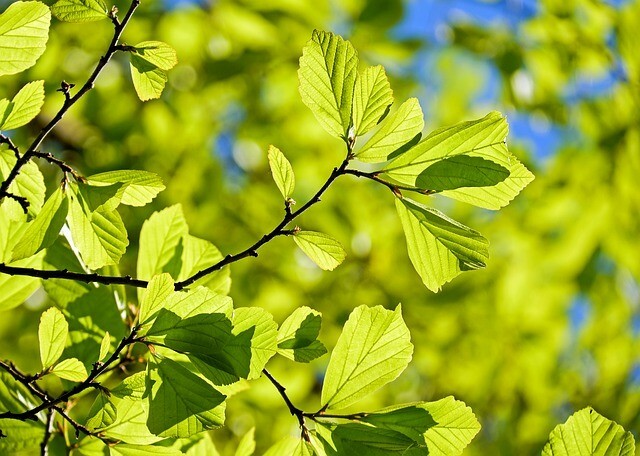 The main types of host tree are apple, hawthorn, lime or poplar, but it’s also possible to grow it on maple, sycamore, willow, ash and oak. To grow, simply collect the berries from a mistletoe plant and rub them into the cracks of the bark. Ideally the berries will be as fresh as possible, so try to avoid using ones that have been hanging inside your home for any length of time. Then all you need to do is wait. You’ll need to be patient – it can take up to four years before berries are produced, so you won’t get to enjoy your own mistletoe this year, but it will be worth it when they do appear. During the winter, the amount of food on offer for local birds begins to dwindle. Why not give a helping hand to the local wildlife by hanging a feeder, to help them get through the winter months? Feeders may be purchased for a relatively low cost and can be hung from tree branches, birdhouses or from your hanging basket bracket. As well as helping the birds, it will indirectly help your garden, too. 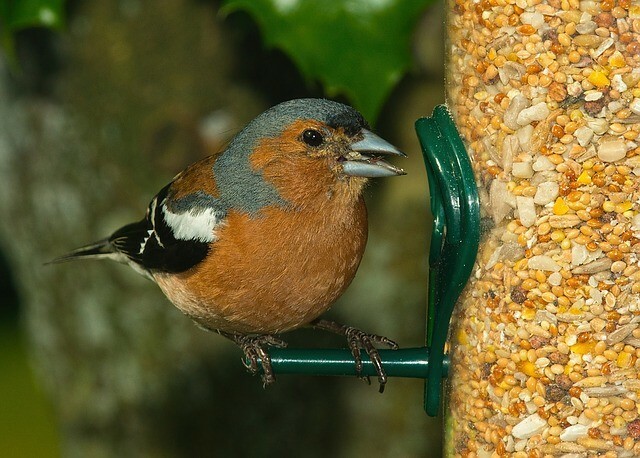 If you attract birds into your garden, they will help you to keep on top of any overwintering pests that may be present. It’s a win-win situation. 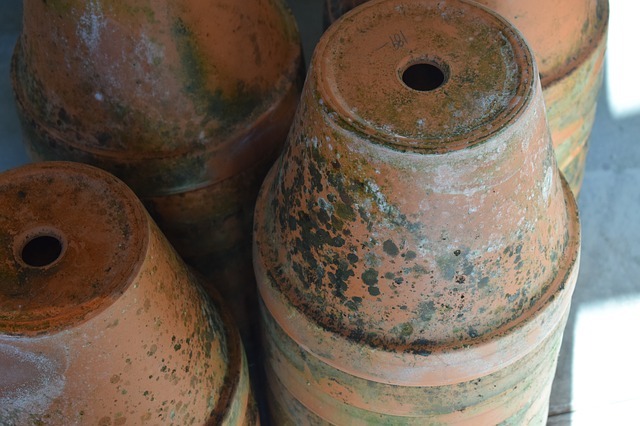 With freezing weather likely throughout December and the winter months, you’ll need to ensure that any terracotta pots you have in your garden are properly protected. Without sufficient protection, the cold weather can crack them. We would recommend moving any terracotta pots into a greenhouse, garage or shed to keep them out of the cold. If you don’t have enough indoor space in which to store your pots, don’t worry, you can still protect them by wrapping them up in bubble wrap to provide additional insulation. There is still plenty to be doing in your fruit and vegetable patches throughout December. There are lots of vegetables that can stand the cold temperatures of the British winter and that will ensure you have plenty of good fresh veg to keep you going throughout this time of the year. And, of course, there’s nothing better than using your own vegetables to prepare your Christmas dinner. Robust winter vegetables include Brussels sprouts, leeks, parsnips, cabbage and kale, all of which can be harvested throughout December. 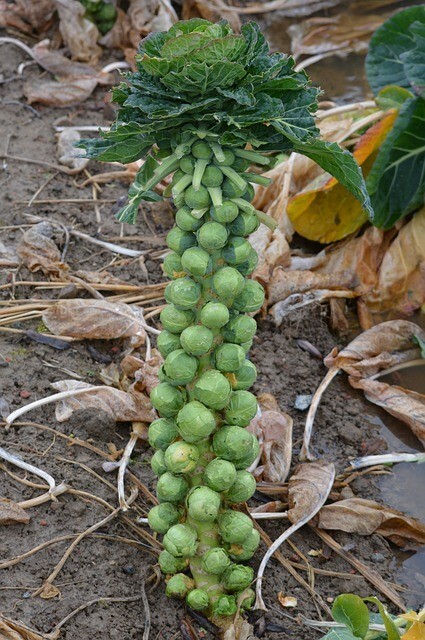 If you are growing that classic Christmas dinner vegetable, the humble Brussels sprout, be sure to stake them at this time of the year to ensure that they don’t topple over in the strong winds that often gust during December. Large fruit trees should be pruned at this time of the year, to encourage maximum growth when spring begins. You should also use this time of the year to tidy up your beds – remove any debris and weeds, then add mulch and compost, as necessary. This month is a good time of the year to plan your fruit and vegetable garden, ready for the coming year. Browse online and at your local garden centre for the seeds that you’ll need, ready for the new season. It can be quite cathartic to sit by the fire, making lists and plans for the coming spring, when it’s blowing a gale outside! 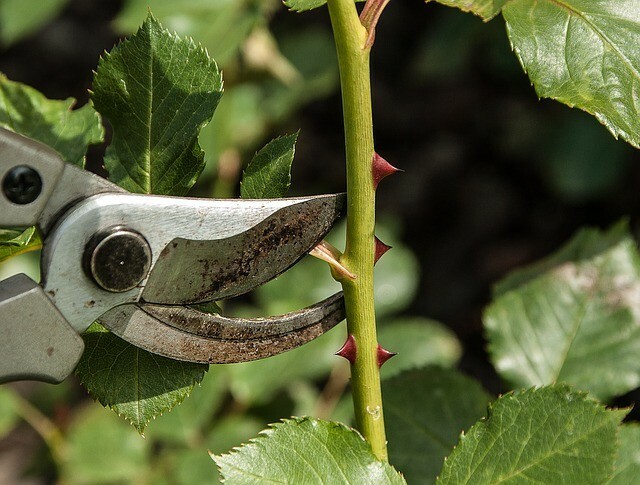 Make use of this quieter time of the year to take cuttings from deciduous climbers, trees and shrubs. It’s the ideal time of the year to be doing this as the leaves will have recently fallen and there won’t be any new buds appearing until next year. Cuttings can be grown in containers, or outdoors, in prepared trenches. Add a layer of sharp to the base of your pot or trench, as well as compost or other organic matter, and insert the cuttings so that around two thirds is below the surface of the soil. You should leave the cuttings until next autumn, to allow the roots to form along the stem, and take care to prevent them from drying out during next summer. As another month goes by and the year draws to end, the amount of time we need to be spending in our gardens has certainly reduced from earlier in the year. However, it’s still important to keep on top of things, ready for when the growth season begins again. The time and effort you put in during the winter months will certainly pay off when spring does finally begin, next year. 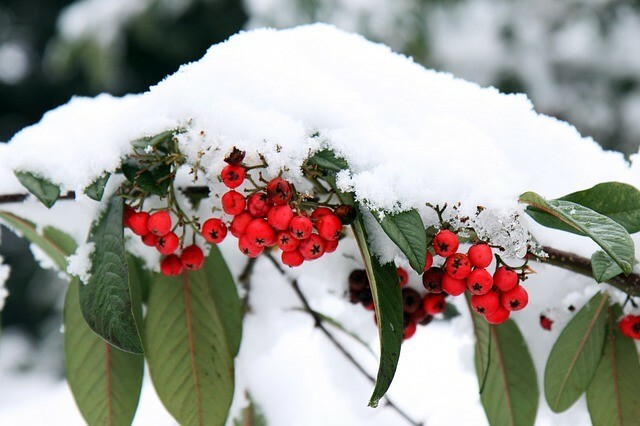 Do you have any other December garden maintenance tasks that you carry out each year? If so, we would love to hear from you. Leave us a comment below with any other tasks you think we should be undertaking this month. We hope you have enjoyed our garden maintenance series and we wish you all a Merry Christmas and a Happy New Year.